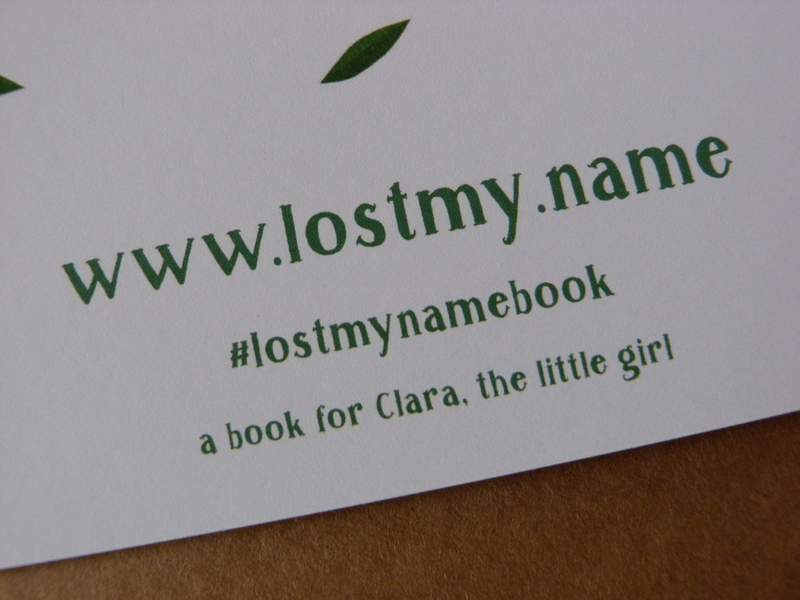 The ‘Lost My Name’ books tell the story of a child who wakes up one day and has lost their name – so they set off in search of it meeting a host of wonderful characters along the way. Each one gives the child a letter which then spells out their name. 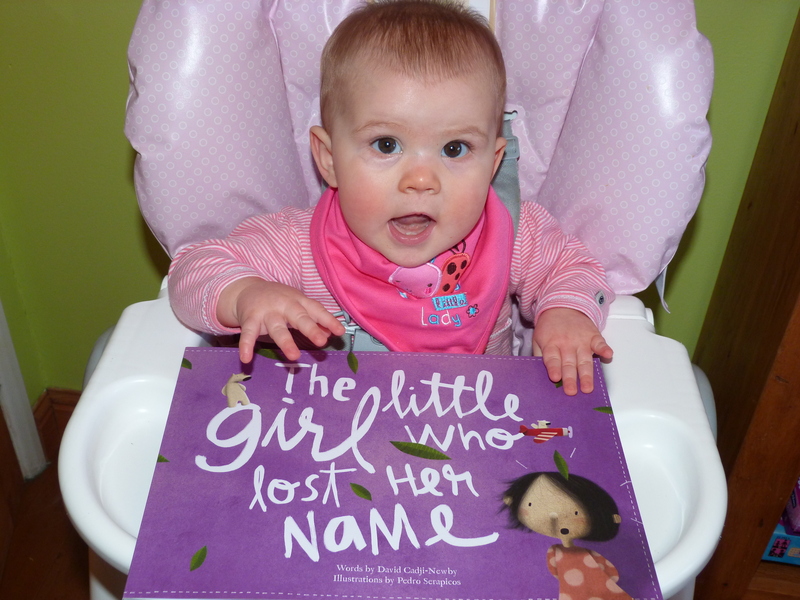 You can choose a book for a boy or girl from www.lostmy.name, and each one is personalised with your child’s first name and a message on the front page. We ordered one for Clara’s first birthday and it arrived within a week. I gave her a little sneak peek at her present already! The story is charming and original, and the characters are diverse – in Clara’s book she meets a Chameleon, a Lion, an Aardvark, a Robot and an Angel! The images are beautifully drawn and the artwork spans across both pages of the A4 sized book. Even though Clara is a little young at the moment to fully appreciate this book (she’s 8 months), I’m sure once we give her it for her birthday she will like to look at the pictures and then as she gets older it is a lovely story which she will hopefully enjoy for many years. At first I thought that £18.99 was a bit pricey for a paper back book but the personalisation makes it a unique and special gift, ideal for birthdays or christenings. Plus when you order your first one you receive money-off vouchers for any further orders. Another bonus is that when you enter your child’s name on the website you get an instant preview of the book so you can see what it will look like before you buy – and I’m pretty sure as soon as you see it you will want to order it straight away! In fact, we are already planning to order several more as gifts for upcoming birthdays. Please note that this review is my personal opinion and we purchased this book ourselves. We got one of these as a christening gift for my little boy, such a lovely idea. So cute! Thanks for sharing. Hey, did you know you got nominated for the Liebster Award by Cynthia Dixon at As Life Would Have It Blog http://cynthia-dixon.com/2015/02/13/roll-out-the-red-carpets/? Thought I should let you know if you didn’t find out yet. Congrats, I just stumbled upon this post, because I am a new mommy blogger myself and trying to network with other bloggers. Thank you 🙂 I have just posted it today just before I saw your comment! Thanks for letting me know, I’ll check out your blog later. They seem such a good idea but admittedly the price is off-putting! I thought so too at first but they are independently published and I was really impressed with the quality when it arrived. I bought a book for Simon not too long ago and I love it! He’s still too young, of course, but considering it’s a book that is going to be replicated and replicated, I thought that the story was unique and the characters are quite special. I think it works best if the child has a long name, of course. Yes the longer the name the more characters they meet! 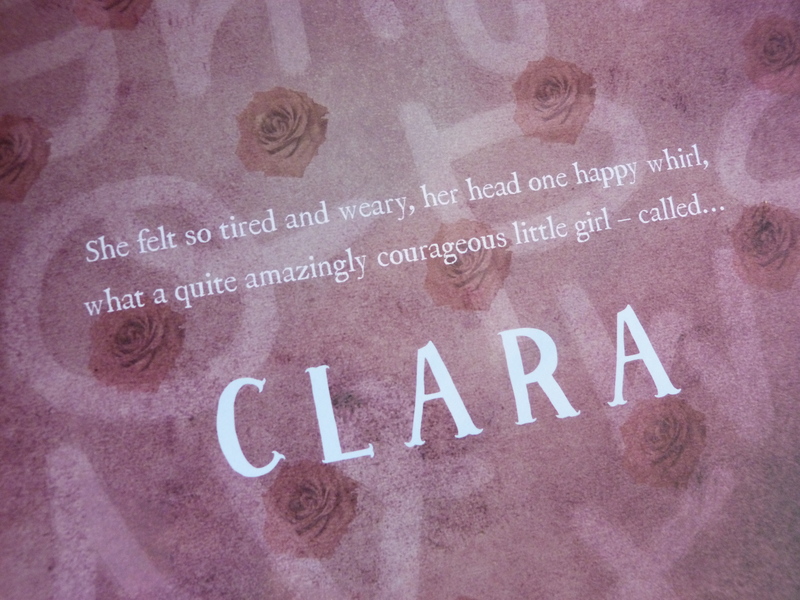 It’s a lovely book, can’t believe I am buying presents for Clara’s first birthday already though, it doesn’t seem that long since she was born. I know what you mean!!! Time is FLYING! Keep meaning to order this book for my daughter. Thank you for the review. I am sure she will continue to love it. Thanks, it is definately worth it, I do love personalised things though especially as it’s hard to find things with my daughter’s name on unless it’s made to order.